Southampton have completed the signing of Liverpool forward Danny Ings on a season-long loan deal. The England international has endured a tough time with the Merseyside giants since joining from Burnley in 2015, with a series of injuries resisting him in making only 14 top-flight appearances during that period. Cardiff City and Crystal Palace were among the two sides to have shown interest in the 26-year-old striker over the summer, but the Saints have now secured his signature on a loan deal for a reported fee of £20m. 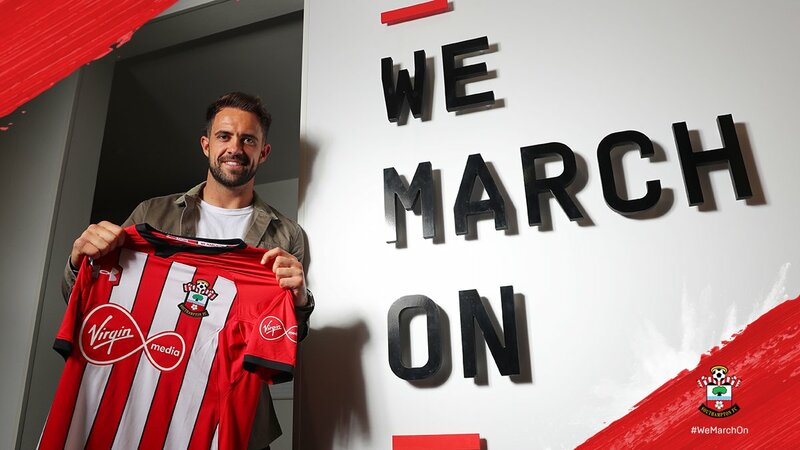 “There was significant competition for Danny, with a lot of clubs keen to complete a deal for him, so we’re clearly delighted that he chose to join us,” said Southampton head-coach Mark Hughes. “We have admired him for some time now, not only for his ability, but also his character and personality, which we feel will be an ideal fit in our dressing room. He’s obviously a local boy, who gives us another excellent option up front. “He didn’t get to play as much as he would have liked at Liverpool, but he has been injury-free for some time now and has a real point to prove. Before joining the Reds, Ings has scored 38 goals in 122 league appearances for the Clarets. Posted on August 10, 2018 by Sammy Jakes.